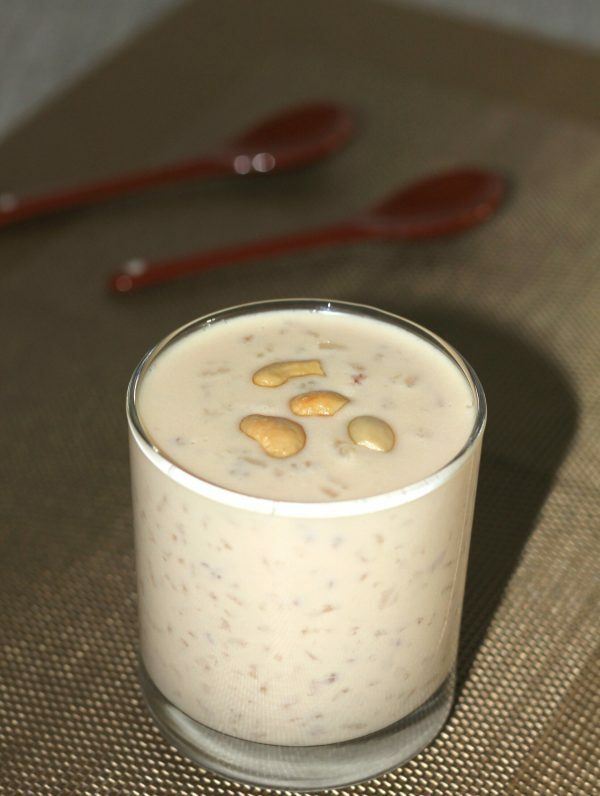 Paal payasam is a traditional Kerala dessert made with broken rice, milk and sugar. Wash the rice well and keep aside. Add milk, water and sugar into a vessel, bring to boil. Add rice and cook in low flame. Stir occassionaly until you get the desired consistency. Add cardamom powder and remove from fire. Garnish with fried cashew nuts.